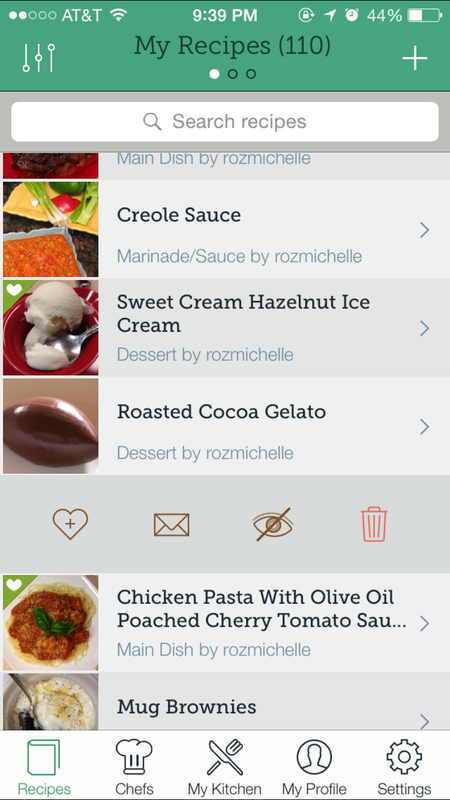 YumTum is a personal recipe manager for the iPhone. 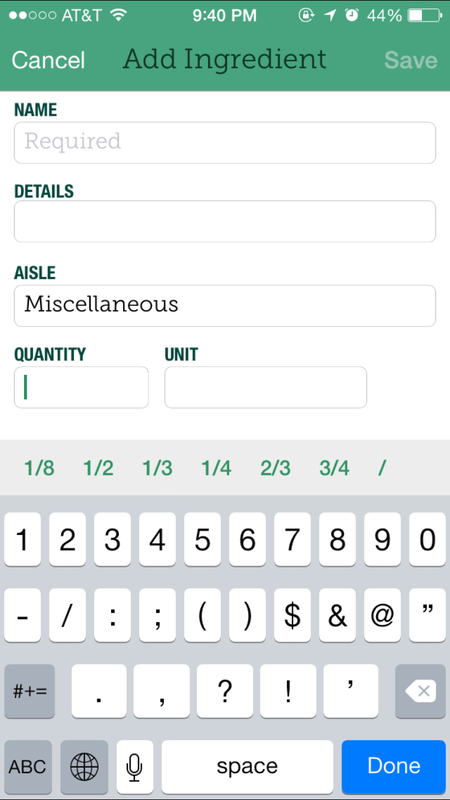 I wrote it in Objective-C and the app connects to a web server via an API that I created in PHP that syncs data to and from a user’s iPhone in a MySQL database. Click here to download this app for free on the App Store. This was a personal project that inspired me to learn Objective-C. Since I love to cook, I wanted to create a simple recipe app that allowed me to take and store photos of each step of the cooking process. I also wanted practice with writing my first API. 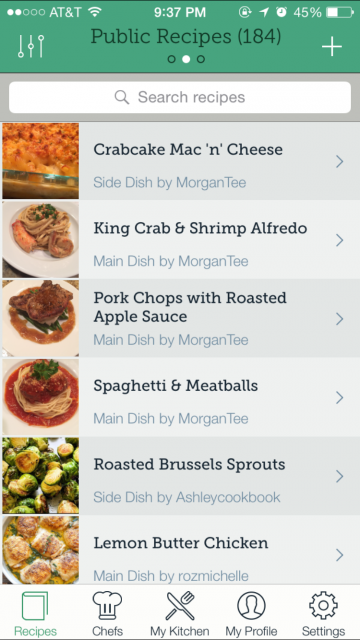 To create a visual step-by-step guide for each recipe. To make the UI clean, elegant, and intuitive. 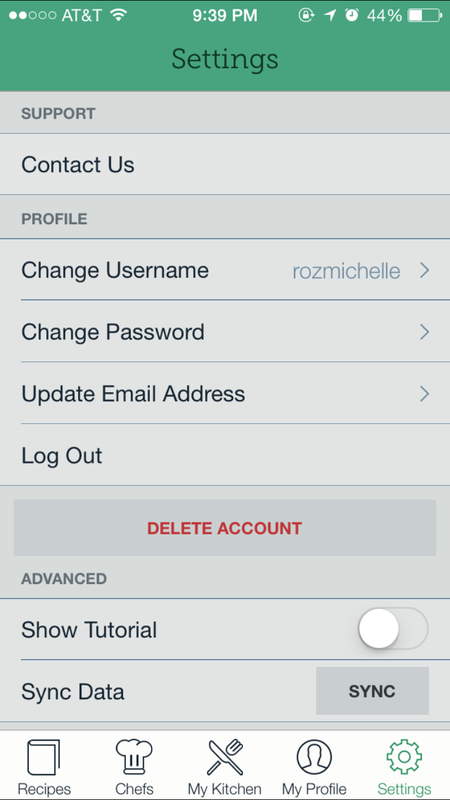 Swipe to favorite, email, make private, or delete. Recipe ingredients list. 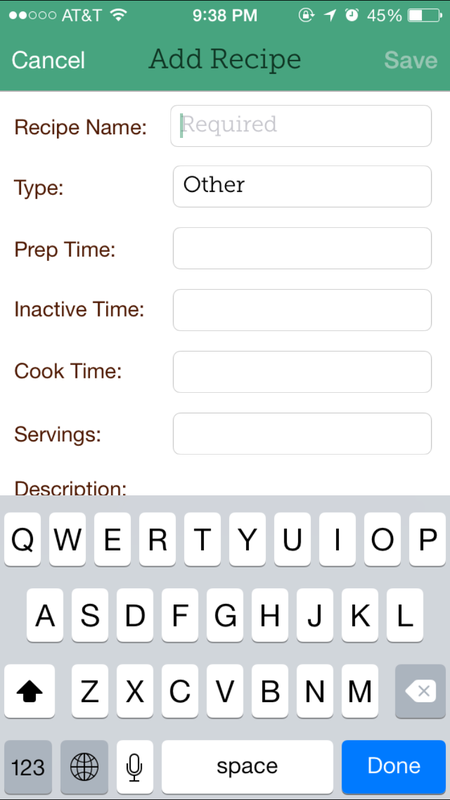 User can tap an ingredient to mark it as used. 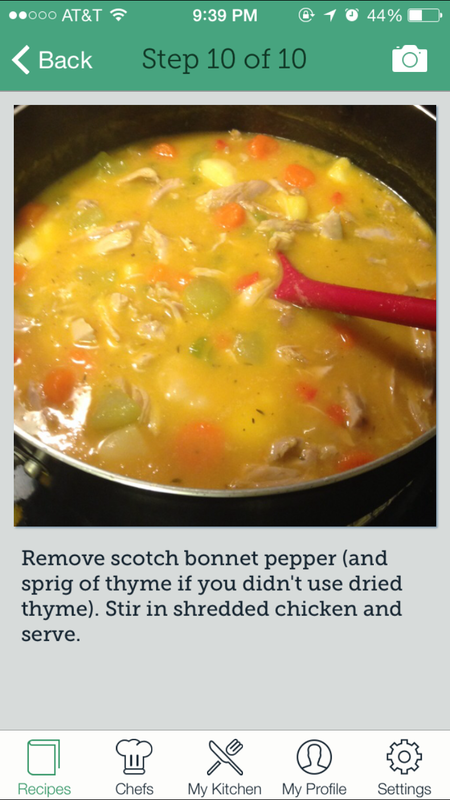 Recipe instructions list. 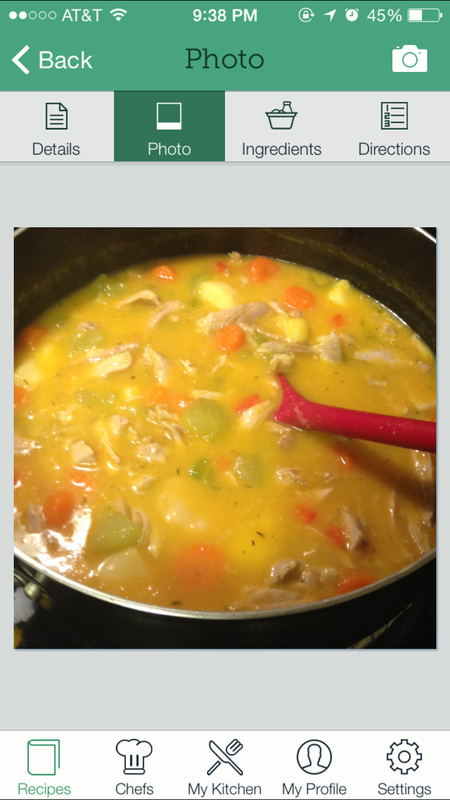 User can tap an instruction to view it in detail. 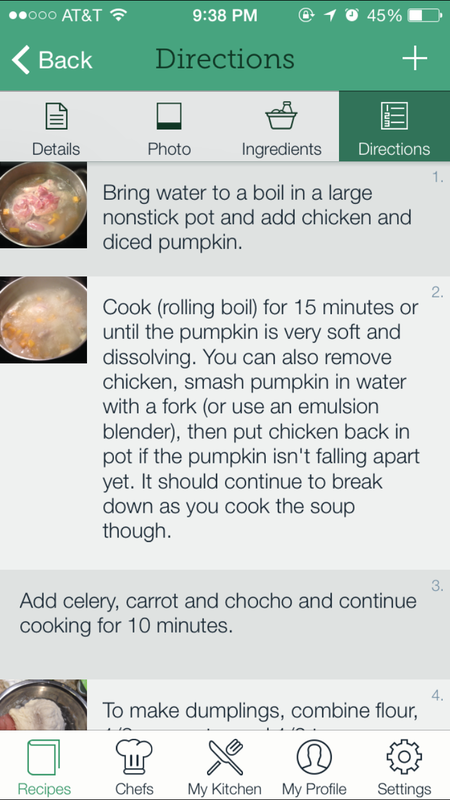 Recipe instruction detail. User can swipe from one instruction to the next. Pantry view. 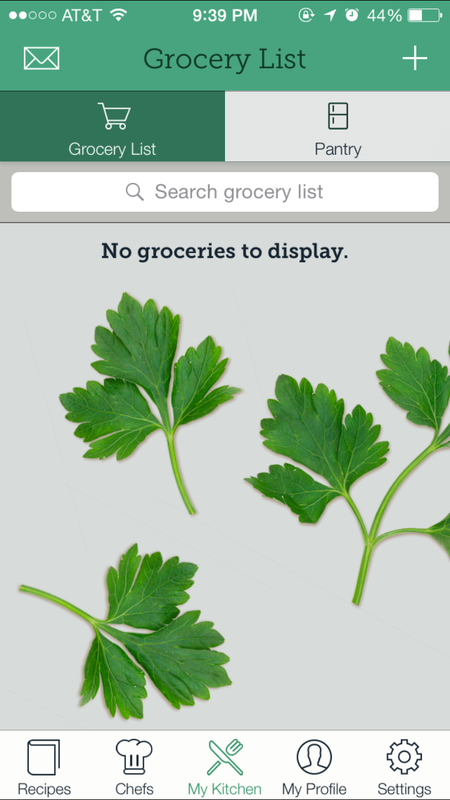 User can move items from pantry to grocery list and vice versa. 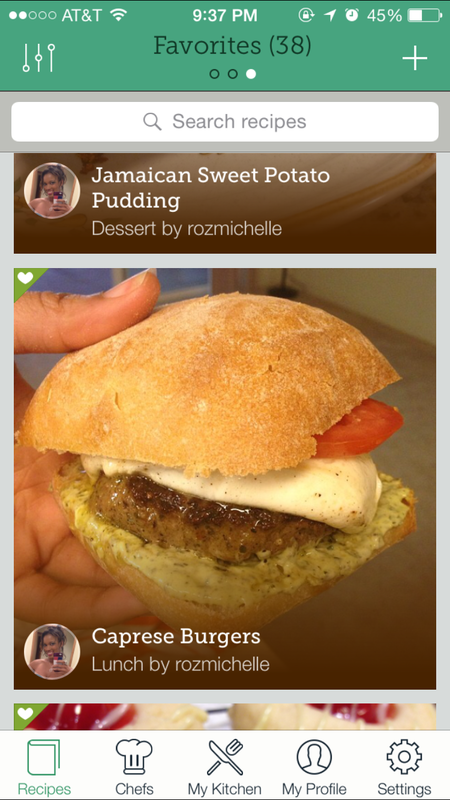 The user can create public or private recipes with support for uploading a recipe photo as well as photos for every instruction in the recipe. 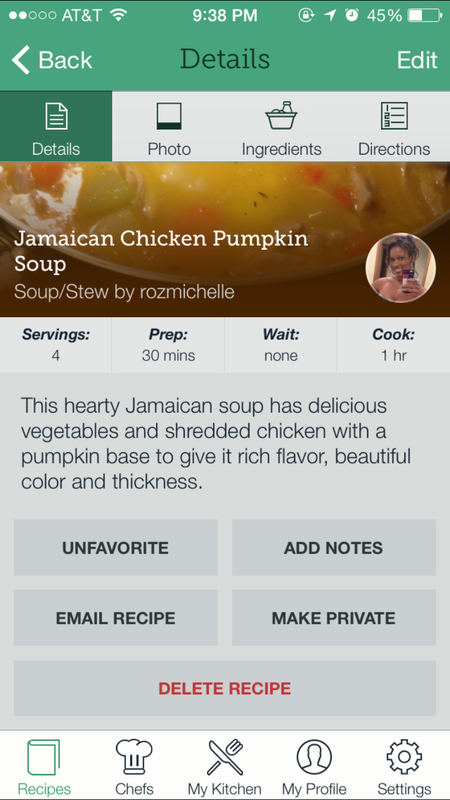 She can mark recipes as a favorite and email them to others. 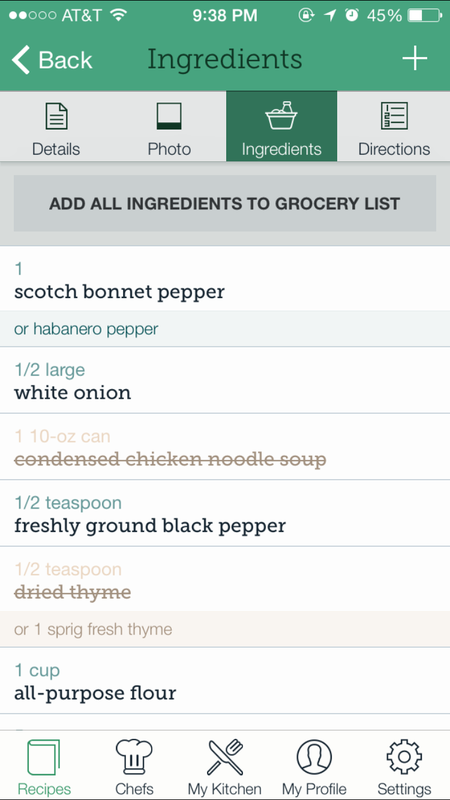 She can create a grocery list from recipe ingredients or by manually creating a grocery item. 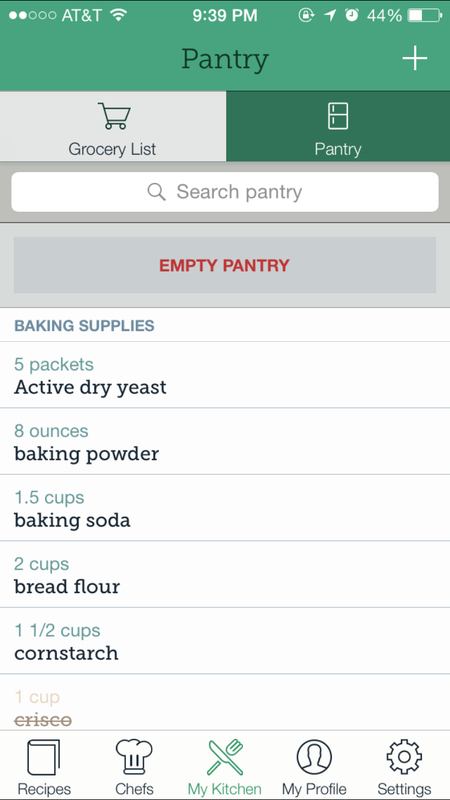 Items can also be moved to the pantry section to keep track of what she has at home and what she needs to purchase. 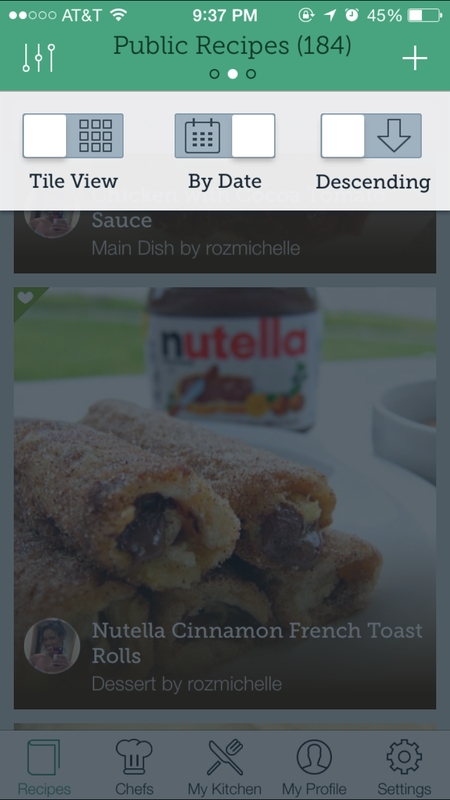 She can browse public recipes and can display recipes in either a list or tile view. Sorting is also possible. 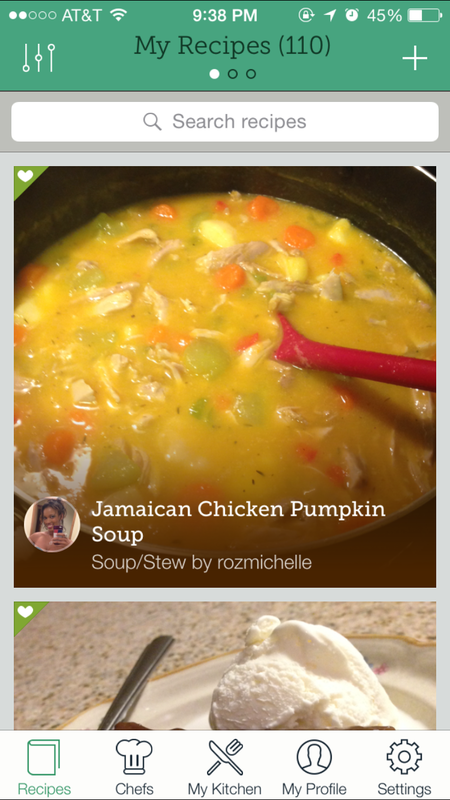 The UI uses native iOS components to ensure users can intuitively navigate the app. This version of the app was released on the App Store in 2014. 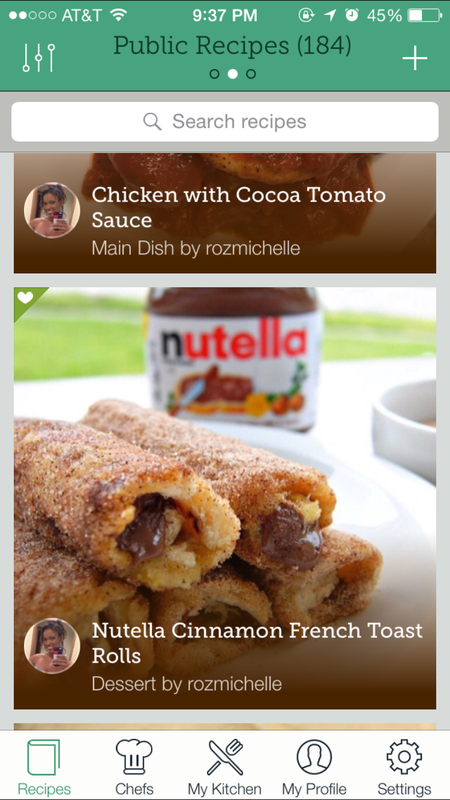 I plan to update it because although users can make their recipes public, I found that most users create private recipes. 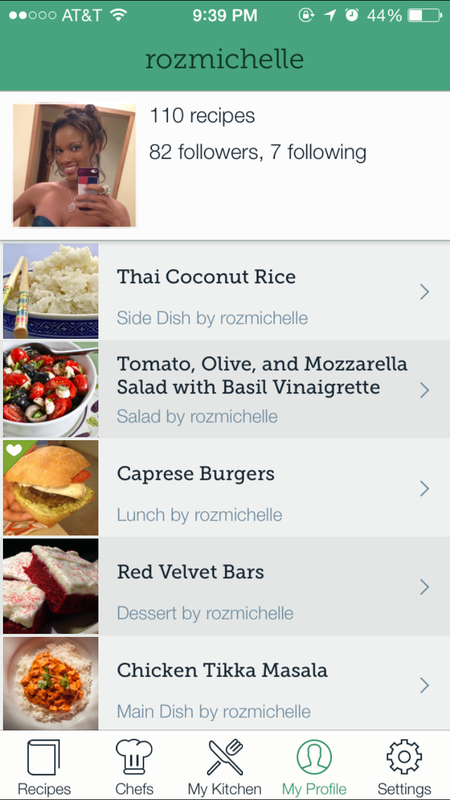 This will cause me to remove the Chefs component of the app so the app is fully focused on personal recipes versus both personal recipes and those from the public. I’m also hoping to rewrite the app in Swift.